Flowers have long been a popular tattoo choice for men and women alike, and a plumeria tattoo is very readily the choice for many people getting flower tattoos. The plumeria is a large flowering shrub that grows in sub-tropical climates like Hawaii. You may also find the plumeria growing in milder climates like that of Southern California found in the United States as well as some other southern states and South American countries. There are 8 varieties of plumeria with each variety being based off the color of its blossoms and the shape of their leaves. The common colors of the species can include bold yellow to a more subdued cream and pink or red. Breeders have been creating new variations of colors to include a mix of red, orange and yellow. It is the beauty of the flower as well as the toxicity of it that make a Plumeria tattoo popular. It can represent duality - beauty as well as death or pain. The plumeria is a very hot tattoo choice and has been popular among many cultures in the Pacific Islands like Hawaii and Polynesia. The Mayans also greatly revered the flower. There are several meanings so before you venture out to get a plumeria tattoo you may want to learn more about it and its symbolism to these ancient tribes. Many Hawaiians hold a very close relationship with the islands and with all of the nature around them. They especially have a great fondness for the ocean and the flowers that breed on their islands. 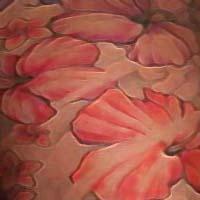 The hibiscus flower is often used in lei's and found in their artwork but just as important is the plumeria flower. 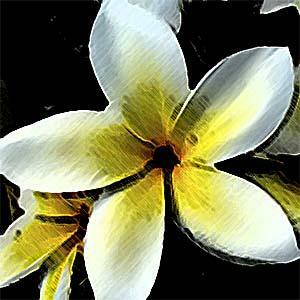 The beauty and size of the bloom makes getting a plumeria tattoo very popular among the Hawaiian culture. Though smaller than the hibiscus, they are set right alongside them creating a beautiful combination. Plumeria, among other flowers, are a symbol of life and spring and associated with birth. A plumeria tattoo to you can symbolize the same. Though it is unclear what symbol the plumeria flower had for the Mayan people it is clear that it was important to them. There are glyphs that have been uncovered that depict the plumeria flower as having a very close correlation to the sun. The beliefs of the Mayan's were that the Sun and the Moon were the original inhabitants of the Earth and through them the human race was born. Since the plumeria flower has long been associated with birth and life, many experts believe it meant the same to the Mayan people. 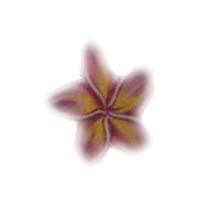 The plumeria flower is very versatile in the world of tattoo art which makes it a very flexible design choice. You can depict the flower in its natural colors or spice it up a bit and the sizes can vary as well from small buds to large. There are many things you can do with the plumeria flower and including it as part of a larger tattoo design would work nicely. A plumeria flower with a collection of birds would also be very beautiful. Considering the love of the ocean by the Hawaiian and Polynesian people, you can also incorporate a lot of sea life to the design including dolphins, crabs and turtles. 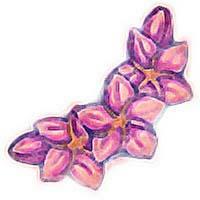 Whatever you add to the plumeria flower design will add to the overall meaning of your tattoo. The plumeria flower and the designs that can incorporate it are very versatile and can be put nearly anywhere on the body. Though this type of artwork is usually chosen by women, many men will also get the plumeria tattooed on them as part of a larger, more complex tribal tattoo. The top of the foot, lower back and stomach are very popular places for women to place the tattoo. The neck is an ideal spot, a sensual one, along with the hips and ankles. The size of the plumeria tattoo should be determined first because the other design elements could dictate the best possible placement.